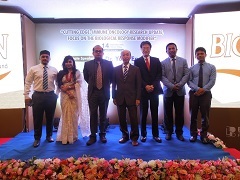 Daiwa’s business partner in Bangladesh held a training session for medical specialists. 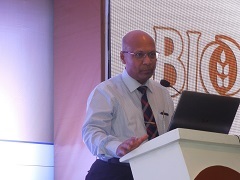 This session was held in Dhaka, Bangladesh on September 14, 2018. 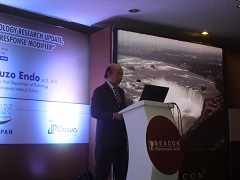 During the session, Dr. Endo (Hamamatsu University School of Medicine, Japan) gave a presentation titled “Cutting edge: International　Immune/Oncology Research Update. Focus on the Biological Response modifier.” This session attracted about 120 medical specialists in oncology, hepatology, hematology and other fields. It was a very constructive training session, followed by a very active question and answer session. Daiwa will continue to make efforts to provide our overseas business partners with useful information.